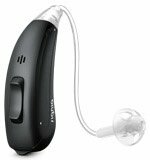 Signia Hearing Aids - Signia is a brand created by the joint between Siemens and Sivantos. Signia Siemens is focused on technology that can be clinically proven by independent studies to be a true benefit to patients. Over the years more of our patients have preferred Signia Siemens technology, quality and reliability over other major brands. More about Signia Siemens Clinical Studies. If you are looking for Signia hearing aid prices they are listed below. Northwest Professional Hearing - Why choose us? We provide an uncommon level of professional services and long-term support that is included in our low prices. We are not just a website we are a family owned "Bricks and Mortar" practice that has been achieving excellent patient satisfaction since 2003. 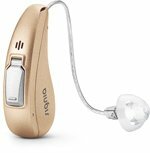 We only offer name brand products and quality hearing aids that are an approved medical treatment for hearing loss. If you are unsure, we offer "Try Before You Buy". You can try Signia's latest technology for 7 to 14 days with no cost or obligation. See Our Reviews on Google+. 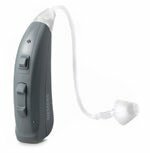 Signia Hearing Aid Prices and Information - hearing aid prices are by model and technology level. The first three categories Nx, PRIMAX and ESSENTIAL are the latest hearing aid technologies, the next two categories BINAX and MICON are technologies that have been replaced. Essentially this is a Signia hearing aid price list and it includes every current model and style. Want even better prices, see our Signia Special Offers Page . Nx Technology is the next step forward from Primax, released November 1, 2017. Signia Nx provides the most natural real-time own voice, best speech understanding in noise and combines the most advanced connectivity features. The OVP, Own Voice Processing delivers the user's voice naturally while not affecting any other sounds. 3-D Classifier analyzes multidimensional information from the environment and provides a tailored hearing response to the wearers needs. Speech Quality is further improved providing the best understanding of speech in noise using Ultra HD e2e, Narrow Directionality, Spatial SpeechFocus and Twin Phone. Signia Nx like Primax before it has been clinically tested and delivers better than normal hearing in complex sound environments. More about Nx Technology. TeleCare allows the user to be anywhere and we can make real time adjustments and changes to the Pure Nx 312. No more requirement for office visits. TeleCare now includes video for an additional level of assistance. Signia TeleCare has simplified remote patient hearing care. Tele-care provides for a quicker response and for greater flexibility, TeleCare is another advantage of Signia Nx technology. 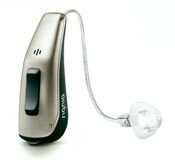 Signia is a co-brand between Siemens AG and Sivantos, Inc. Siemens first digital hearing aid made over 20 years ago was named Signia. The first technology platform developed by this co-brand is Primax. Signia Primax technology has been proven by independent studies to be a true benefit to patients. Two independent clinical studies prove that Primax technology is better than normal hearing in demanding listening environments (University of Northern Colorado, 2014 and Oldenburg Horzentrum Research institute in Oldenburg, Germany, 2013). Signia and Siemens Primax features significantly reduced listening effort, which has benefits in the short-term and in the long-term. Speech recognition performance for those with hearing loss were equal to normal-hearing individuals (University of Iowa, Iowa City, IA, USA HARL, University of Western Ontario NCA, London Ontario, Canada and NAL, Sydney, Australia). Siemens have been engineering hearing instruments for over 147 years. Signia won two prestigious Innovation Awards for the Cellion Primax hearing aid and the Signia myHearing app at the CES 2017. Primax Technology has been proven to provide better than normal hearing in difficult listening environments. Signia continues to advance Primax technology by introducing new models and by adding new functionality, such as the Primax Star technology. More about Primax Technology. The information about styles and prices are listed below for each Primax model. Primax technology releaswelled March 2016. TeleCare is simplified remote patient care by Signia. 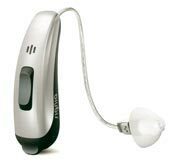 TeleCare allows us to adjust a patient's hearing aids without the patient being in our office. Tele-care provides for a quicker response and for greater flexibility, TeleCare is another advantage of Signia Primax technology. Signia Primax Hearing Aid Models and Prices are Listed in Order of Popularity.